Since we took Emily home from the hospital, tucked her into her crib and everyday until this very moment, I’ve been nervous, panicky. For 9 months she was kept safe inside my bump and now she’s out in the open in a world where a businessman with a terrible hairstyle is president of the USA, fake news seems to gather more attention than real news and Britain is still whinging about Brexit. Having anxiety is common in pregnancy and after birth. You go from one extreme to another. Currently Emily sleeps through the night. A minimum of 5 hours, which is brilliant for her age, but with that comes my need to check constantly to see if she’s still breathing. Then come the middle-of-the-night panic. Somewhere between dream and reality I ‘wake’ up and am convinced I’ve lost her. It’s a horrible feeling. But whilst I’m totally freaking out, Emily is sleeping peacefully in her cot. It’s that horrendous feeling of being awakened out of a deep sleep, heart racing, gasping for breath. Fear growing inside for a reason totally unknown. I’ve had my fair share of panic attacks throughout the years but nothing beats it when it involves your child. Being terrified that it might happen again puts you off sleep no matter how tired and exhausted you are. Now I’ve heard of postpartum depression but not postpartum panic. But apparently it’s just as common and totally normal but it’s . It’s common for new mothers to worry in the first few days since birth and gradually through the first year to panic. I’m not sick or depressed just on edge and most of the time it occurs at night when it’s quiet. Anxiety is common postpartum. Many new mum’s experience anxiety following pregnancy and the birth of their child. Having a child not only causes huge changes to a womans body in terms of the physical shock and hormonal fluctuations (which in tern have an impact on mood), but can also have a big impact on family life, sleep levels and stress. All of these things can lead a person to become more anxious than usual. Postnatal generalised anxiety disorder (GAD): This can present as a constant state of high anxiety, with worries about everything from your child’s health, feeding, your ability to parent or that something bad might happen. This should be distinguished from the normal worries that new mums have, the difference being it will be having a negative impact on your life. For more info about GAD, click here. Postnatal obsessive compulisive disorder (OCD): This can be one of the most distressing types of post natal anxiety. This is because it is often accompanied by distressing thoughts and images, about harm coming to your baby either on behalf of the mum or others (there is never any intention to do this on the mum’s behalf). Mums can often feel very isolated with these feelings and worried about discussing them with family or their health visitor. You can read more about post natal OCD below. Postnatal health anxiety: We have had contact from a number of people who are experiencing a form of health anxiety, with an excessive preoccupation that there may be something wrong with their baby, this leads to repeated medical investigations, but as with traditional health anxiety, results rarely reassure the new mum in the long term and the best approach is to obtain support through CBT or a specialist who can help mums to challenge their own worries. 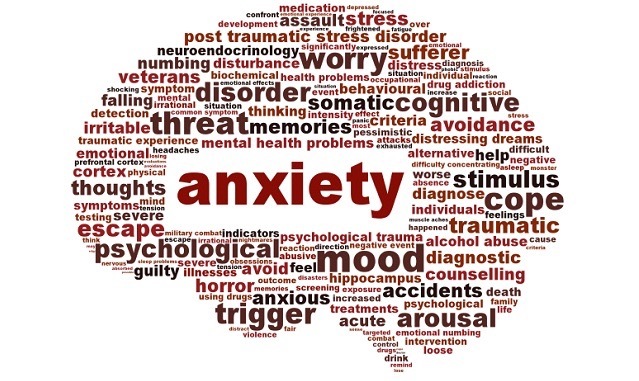 For more information about health anxiety, click here. Some women assume symptoms can just disappear, but that’s too risky. Whatever postpartum symptom you have can affect your ability to bond with your baby. I just have this worry at night. It’s eased up as the weeks have gone by. I know that she is sleeping fine and she is safe and I’m lucky that it hasn’t interfered with my bonding with Emily. If you feel like your worry is affecting your sleep or eating habits go to your doctor. They may refer you to a psychologist who specialises in CBT (Cognitive Behavioral Therapy) where they will assess and help you with the skills to change the way you think before having a panic. A medical professional can teach you the techniques to help you relax and often, in severe cases, medication is prescribed, something of which I was offered and denied. I just needed to relax before bed. Being on panic alert 24/7 can affect your sleep but eating 3 meals a day, going out for long walks, talking to my mum on the phone and spending time with Emma has really brightened up my days and I don’t worry or panic as much as I did a month ago. It’s important for mummy’s to know it’s normal and you’re not weird or alone. There are people who can help. There are medical professionals on hand to help you, your friends and family can help too, if you don’t want to speak to your doctor about it. Call Anxiety UK on 08444 775 774 (Mon-Fri 9.30am-5.30pm). Previous Post Emily sleeps 5-7 hours a night, I know, amazing huh?